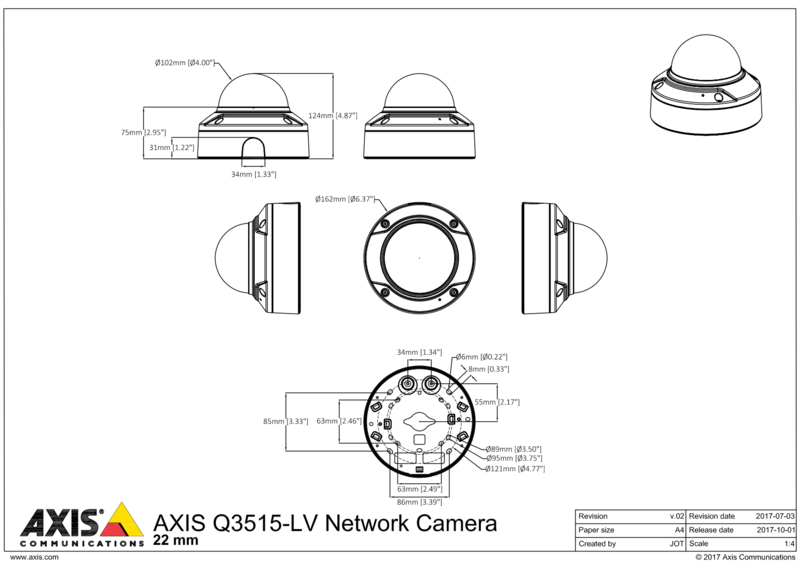 The Axis Q3515-LV is a fixed dome vandal resistant camera that has been designed for demanding locations. - Lightfinder technology ~ has extreme light sensitivity to give more life-like colours in low light conditions. - OptimisedIR illumination ~ ~ is based on new, smart, power-efficient and patented LED technology, resulting in high-quality and low noise video. Featuring Axis Zipstream Technology which preserves important details in full image quality whilst reducing storage and bandwidth by 50% or more.